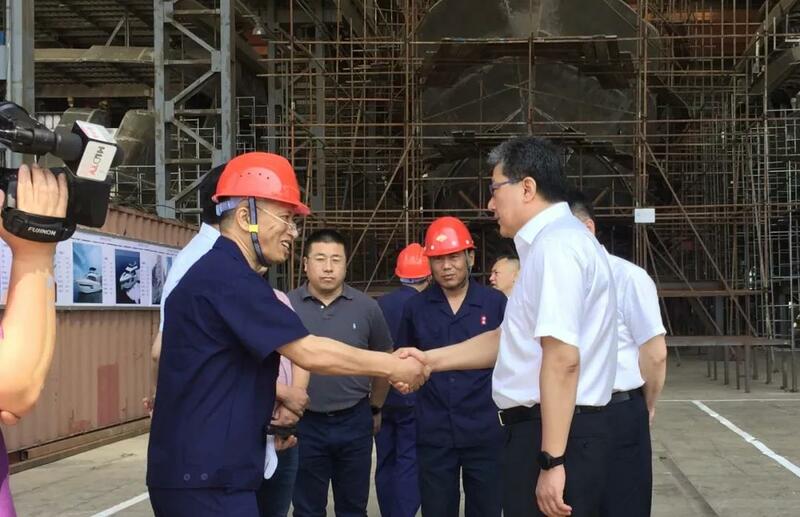 On the morning of June 2, Huludao Mayor Wang Liwei, Deputy Mayor Hu Wei, Municipal Government Secretary-General Han Qingchun, Deputy Secretary-General Song Xiaodong and Deputy Director of the Development and Reform Commission Li Chen came to Jinlong Mega Yacht Huludao Production Base to inspect and guide the work. Mr. Dong Ge, Chairman of Jinlong Mega Yacht and senior leaders of the company accompanied him throughout the journey. 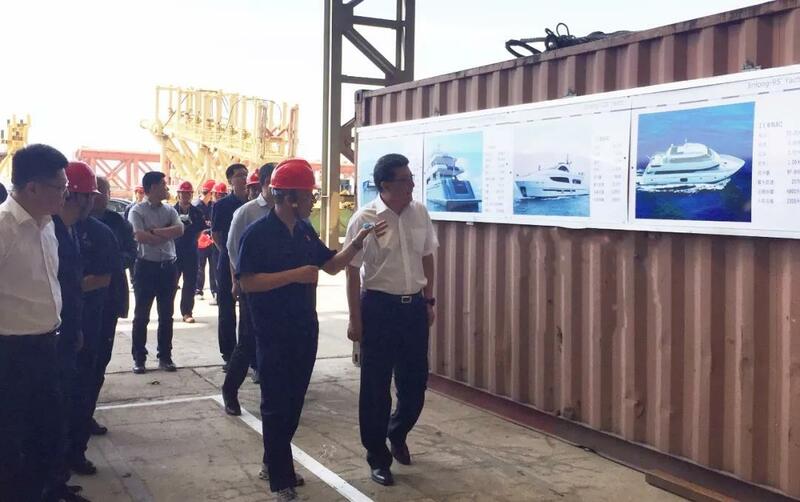 Dong Ge, Chairman of the Jinlong Mega Yachts, made a detailed work report to the city leaders, introduced the basic situation of the enterprise, production and operation status, and accompanied the city leaders to visit the Jinlong 46-meter megayacht production workshop at the Huludao production base. 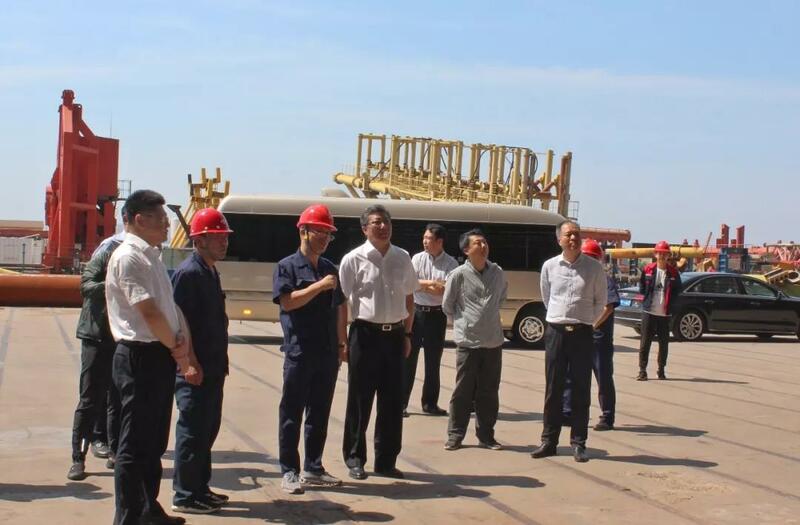 During the visit, the mayor and city leaders expressed their appreciation and praise for the development of Jinlong after understanding the production situation of Jinlong. The mayor said with great enthusiasm: The government will always be a solid backing for the company. If the company has individual difficulties, it must be put forward. The government will support the development of Jinlong megayacht in all parties. "Policy must be supported and life should be concerned." , support enterprises to become stronger and bigger! 下一篇：During the peak season of Jinlong's production efficiency, the three yachts were launched and commissioned on the same day. Name：Liaoning Jinlong Mega Yacht Manufacturing Co., Ltd.